This Tamar Valley Day Drive itinerary travels up the west bank of the Tamar Estuary to Bass Strait. Then it backtracks a little, crosses the Batman Bridge and returns via the Pipers Brook wine area and the Hillwood Berry Farm. Launceston sits 70 kilometres inland (43 miles), where the North and South Esk Rivers merge to form the Tamar Estuary. The Tamar is not a river, per se, but rather a fully tidal, saline estuary for all of its length. The Tamar was named after the river of the same name in Cornwall, England, this running beside the city of Launceston. Until 1968, the only way to get by road from Beaconsfield on the west bank of the Tamar to Low Head, on the east bank, was to drive into Launceston, then all the way back up the Valley, a trip of some 140 kilometres (87 miles). The opening of the Batman Bridge changed all that and made the Tamar a wonderful self drive area. It is an excellent day drive to circle from Launceston, up the West Bank through Exeter and Beaconsifled to Beauty Point, then across the Batman Bridge and back down the East bank via such attractions as Low Head and the Hillwood Berry Farm. While the Tamar is a major wine growing area, the day drive will include points of interest and activities that will allow for those not interested in wines or visiting vineyards. Travel up the West side of the Tamar Valley, taking in the river frontage road. After Beaconsfield we will retrace our steps, cross the Batman Bridge and return to Launceston via the ast side of the valley. Low Head Pilot Station and environs - Tasmania, Australia. Image thanks to Tourism Tasmania & Chris Crerar. Beaconsfield Mine & Heritage Centre (formerly Grubb Shaft Gold & Heritage Museum), Tasmania, Australia. Image thanks to Tourism Tasmania & Tim Hughes. Try to spot one of the local platypus at the Platypus house. Low Head Pilot Station Maritime Museum, Tasmania, Australia. Image thanks to Tourism Tasmania & Peter Cox. Leave Launceston City by driving down York Street to the A7 West Tamar Road and cross the bridge at the mouth of Cataract Gorge. You will be on the west bank of the Tamar, and the suburb of Trevallyn will climb up the hillside to your left. Continue through the suburb of Riverside. If you require food for a picnic, or any other supplies, watch for the larger supermarket and shopping centre on your right as you drive through Riverside. As you leave Riverside, the houses will peter out and be replaced by the wetlands of the Tamar River Conservation Area. The Tamar River Conservation Area is maintained by the Tasmania Parks and Wildlife Service, and features an excellent Interpretation Centre. Watch for the signs as you leave the last of the houses at Riverside – the Interpretation Centre will be on your left. Drive through the roundabout at Legana and stay on the A7 West Tamar Highway. You will see the turnoff to the left to Grindlewald. If interested in a replica of a Swiss village in the heart of Tasmania, then it is definitely worth a visit. Immediately after look for the turnoff onto Rosevears Drive to the right. Take Rosevears Drive for the very scenic river frontage route. The turnoff to Rosevears Winery will be on your left. If you love a glass of vino, this one is worth a visit. Rosevears Drive will join the A7 West Tamar Highway briefly again at Lanena. Watch for the turnoff to the right (towards the River) and take Gravelly Beach Road to continue on the river frontage route. At Gravelly Beach the road will cut inland a little and become Deviot Road. Stay on Deviot Road through Robigana and Deviot. As you pass Robigana, watch for the Artisan Gallery. If you are interested in fine craftwork and boutique wines, stopping here is a must. Deviot Road will climb the hill and join the B73 Batman Highway just at the junction to the Batman Bridge. Take the B73 to the left (away from the Tamar River) and follow it to the A7 West Tamar Highway. At the A7, turn right and drive to Beaconsfield. Beaconsfield is an old gold mining town, the first discoveries being made in 1847 as the Gold Rush of the mid 1800’s was getting under way on the Australian Mainland. 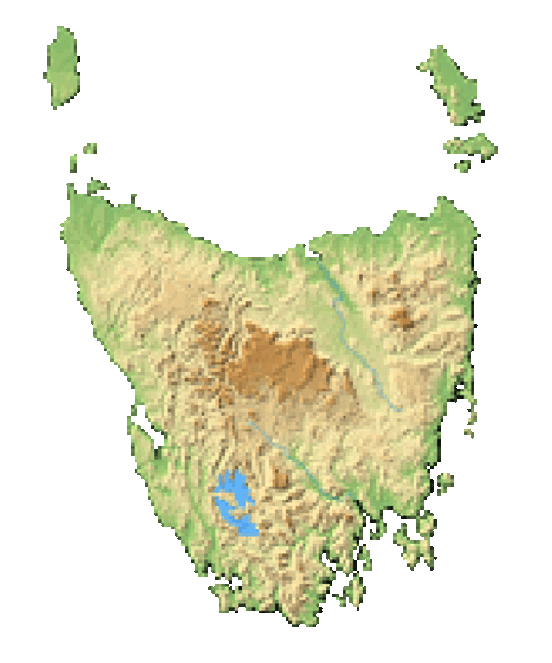 Mining started in earnest in 1877 with the discovery of the Tasmanian Reef, and at its peak, the mine employed 700 men and over 26 tonnes of gold was recovered. The Beaconsfield Mine and Heritage Centre gives a very complete view of the history of mining and of the general area. From Beaconsfield follow the A7 West Tamar Highway to Beauty Point. The Platypus House and Seahorse World are worth visiting. After visiting Beauty Point, retrace your steps back to the B73 Batman Highway, turn left onto the B73, cross the Batman Bridge, and then turn left again when the B73 joins the A8 East Tamar Highway. Follow the A8 East Tamar Highway to Georgetown and then on to Low Head. At Low Head, visit the Low Head Pilot Station and Lighthouse for great views out over Bass Strait. From Low Head drive back along the A8 and watch for the turnoff left (east – away from the Tamar River) onto the B82 Bridport Road if interested in visiting more wineries, or stay on the A8 to return to Launceston beside the river. The Berry Farm will be on your right (towards the Tamar River) as you drive past Hillwood, just to the south of the point at which the B73 Batman Highway joins the A8 East Tamar Highway. Follow the A8 East Tamar Highway back into Launceston.